Trendy gadgets aren’t just for your home office or entertainment center — they’re made for your cooking space, too. We found 10 of the coolest tools that you can buy to take your kitchen from drab to fab and functional. 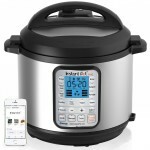 Ordinary pots are fine for cooking stew, soup and other food staples, but the Instant Pot IP-Smart Bluetooth-Enabled Multifunctional Pressure Cooker can do more. This smart pot — which has 14 built-in programs — combines the functionality of a pressure cooker, slow cooker, rice cooker, porridge maker, steamer, saute pan, yogurt maker, food warmer and other devices. Plus, because the device is Bluetooth-enabled, you can connect it to a compatible smartphone or tablet. That way you don’t have to be in the kitchen to start cooking your dinner. You can program the pot and monitor your progress via a free app. Ever lose your ladle in your soup pot? 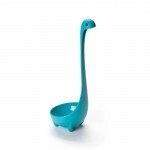 That won’t be a problem with the Ototo Nessie Ladle, which has feet that allow it to stand up in your pot. This colorful — might we say adorable? — kitchen tool is currently the bestselling ladle on Amazon. It’s dishwasher safe, too. The Kikkerland Owlet Kitchen Timer is also designed to be decorative as well as functional. The easy-to-set timer ticks for up to 60 minutes and is shaped, as the name suggests, like a wee owl. It’s sold in red, green or light blue, but if you order the item through Amazon, the color will be chosen for you. Perfect Bake App-Controlled Smart Baking is a scale that connects to your compatible smartphone or tablet. Choose one of the app’s recipes or add your own, and let it tell you what to add and how much. 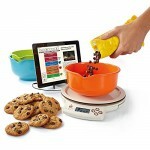 In addition to the scale, the Perfect Bake comes with a phone/tablet stand, three mixing bowls, an oven thermometer and a cable. It requires three AAA batteries, which must be purchased separately. You don’t have to go to a fancy coffee shop to enjoy a morning java topped with decorative flair. The CinniBird Spice Pen allows users to create messages and drawings on drinks with edible ingredients, such as cinnamon or ground sugar. Purchase a single pen or opt for a pack of three. Even cutting boards can be multifunctional. On the surface, the Joseph Joseph Chopping Board appears to be a typical place to dice your ingredients, but the product also has an integrated ceramic knife sharpener. The dishwasher-safe board works best with stainless steel blades. It’s sold in green and black and comes in two different sizes (14.5 inches x 11 inches x 0.5 inch and 12 inches x 9 inches x 0.5 inch). 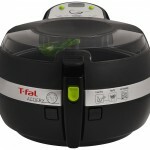 The T-fal FZ7002 ActiFry Low-Fat Healthy Dishwasher Safe Multi-Cooker promises to help reduce the fat content of your favorite meals. The 2.2-pound capacity cooker cooks dishes such as French fries and seafood with minimal oil. 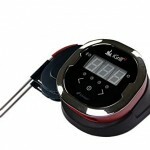 The device is designed to make cooking easy, too. It features simple two-button operation, dishwasher-safe parts, a timer and a removable ceramic nonstick pan. Whether you’re in the kitchen or on the patio, the iDevices iGrill2 Bluetooth Thermometer simplifies grilling your favorite meats. The illuminated meat thermometer lets you use an iOS smartphone or tablet to make sure your cuts are cooked the way you like. 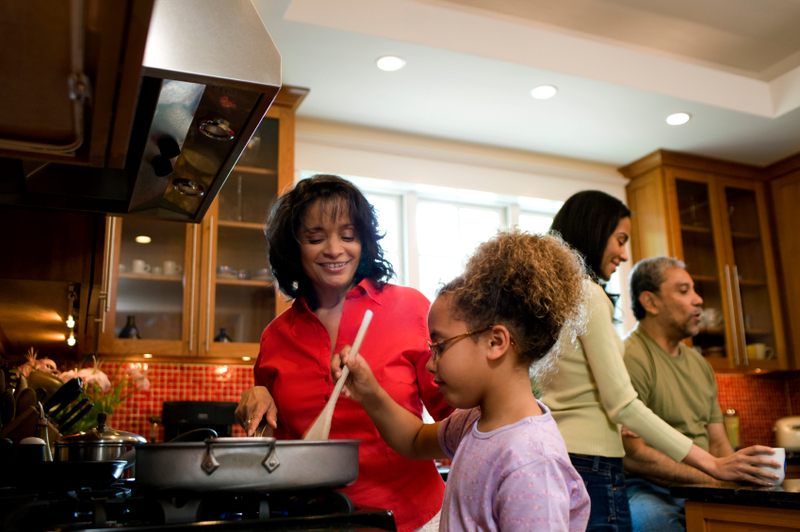 Use the product’s four included probes to measure the temperature of what you’re cooking, then monitor the thermometer from up to 150 feet away via the iDevices Connected app. Forget heating up a less-than-fresh breakfast sandwich from your freezer. 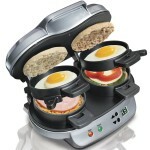 With the Hamilton Beach 25490A Dual Breakfast Sandwich Maker, you can whip up one or two in just five minutes. Add your own favorite ingredients — eggs, cheese, ham — and let the maker do the rest. 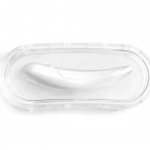 When you’re done cooking, the device’s removable and dishwasher-safe parts make cleanup easy. Don’t leave your trash can out of your kitchen tool overhaul. The Nine Stars DZT-50-9 Infrared Touchless Stainless Steel Trash Can opens on its own. Bring your hand within 10 inches and a 130-degree angle of the can’s infrared sensor to activate the lid. When you pull your hand away from the can, the lid closes within three seconds. 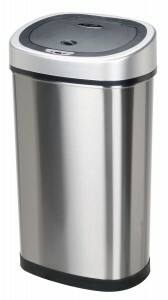 This battery-powered trash can holds 13.2 gallons and features anti-fingerprint stainless steel.